The Black Management Forum (the BMF) which is at the forefront of advocating and lobbying for transformation in Corporate South Africa, has congratulated Sim Tshabalala on being announced as the sole Chief Executive of Standard Bank. Following a carefully planned management succession process, Standard Bank Group announced changes to its current joint-group chief executive structure. The company said its board is satisfied that the structure, which was necessary in 2013, has met and in many respects exceeded expectations. Accordingly, Ben Kruger steps down from the role of joint-group chief executive with immediate effect. Kruger remains an executive director of the company, reporting to the group chief executive. 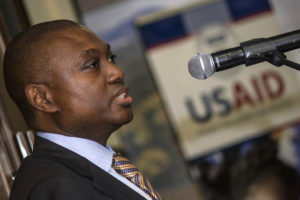 Tshabalala continues in the role of group chief executive of Standard Bank Group and chief executive of The Standard Bank of South Africa Limited. “The board expresses appreciation to both Ben and Sim, who have successfully led the process of refreshing the group’s strategy and managed complex challenges which faced the group in several jurisdictions, while delivering respectable returns to our shareholders. The resounding success of the joint-group chief executive structure is testament to the group’s culture and values which include working in teams, respecting each other and upholding the highest levels of integrity. Good momentum has been achieved in the implementation of the group’s refreshed strategy,” said Group Chairman Thulani Gcabashe. BMF president, Mncane Mthunzi said they are pleased and excited about this announcement. 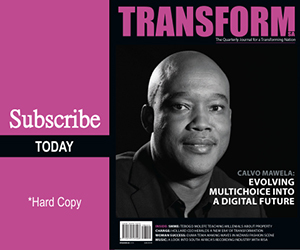 “Standard Bank has shown that they regard transformation as a business imperative and are making concerted and deliberate efforts in ensuring that the transformation gains are not reversed,” said Mthunzi. “Tshabalala is an eminent role model to most Black professionals. He continues to inspire many people across racial and business spectrum. The financial services industry and our country is blessed to have a business leader of Tshabalala’s calibre.” continued Mthunzi. The BMF said it trusts that this announcement will mark an end to the joint CEO appointments phenomena that we have come to see. The BMF says these joint CEO arrangements are never in the best interest of companies as they demonstrate a lack of succession planning; an overburden of the payroll with excessive executive pay and lacks accountability as two people are responsible for a single bottom line. “Tshabalala’s announcement further highlights the significance of black management control, which gives him access to control the levers of power to effect decisions that can benefit the majority of the citizens of this country,” said Mthunzi. “The black people whose acceleration and advancement we advocate for is on the basis of merit and it is precisely because of their merit that we engaging in this struggle.” concluded Mthunzi.